Eight duets that progress from easiest to most difficult. Each duet can be played unaccompanied, with a playable piano part available online, or with the high quality tracks on the Performance/ Accompaniment recordings included in the kit. 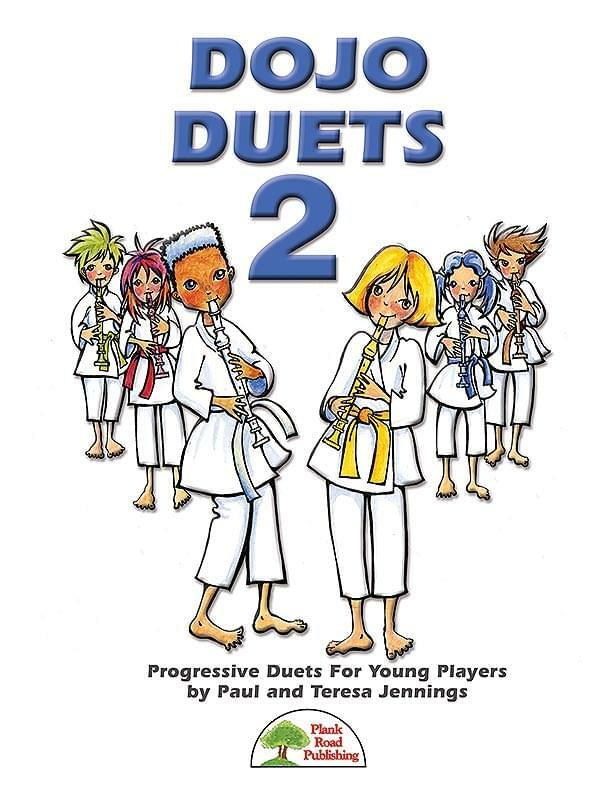 Each duet is fairly short, ideal for testing, in case you want to distribute the duets among the various levels of Recorder Karate, or any other method you are using. Parts 1 and 2 in each duet are of similar difficulty, so you can choose to have the students switch parts if you like. Songs include: The Birch Tree, Bittersweet, Git Along, Just Skip It, Lightly Row, Mozart's Swan, Petals Of The Cherry Blossoms, and Ring Bells Ring.